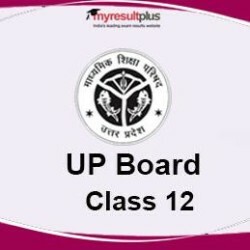 UP Board 2019: The time clock for the up board examination has started backward and there are only four weeks left for the examination. At this time students are rushing to do as many preparations as they can. The test always helps you analyze at what level you are and how much you need to prepare more. Here are the questions for Economics which will help you check your level of preparations in the subject. Q2. Which country is the biggest foreign trade partner of India? Q5. What is the Gross Domestic Product (GDP)? Q6. What are the two adverse effects of rapid population growth? Q7. Describe the relationship between industry and firm in the state of Perfect Competition with the help of a diagram. Explain the situation of Profit and loss In case of Imperfect competition for the short term period with the help of a diagram. Q9. What is the difference between quantitative and qualitative instruments of monetary policy? Explain any two points from each group and their impacts. Q10. Assuming that increase in Investment is Rs. 4,000 crore and MPC is 0.60. Explain the working of multiplier.